With warming climates around the world, many regions are experiencing changes in snow accumulation and persistence. Historically, researchers and water managers have used snow accumulation amounts to predict streamflow, but this can be challenging to measure across mountain environments. In a new study, a team of researchers at Colorado State University found that snow persistence — the amount of time snow remains on the ground — can be used to map patterns of annual streamflow in dry parts of the western United States. The ultimate goal of this research is to determine how melting snow affects the flow of rivers and streams, which has an impact on agriculture, recreation and people's everyday lives. Scientists said the findings may be useful for predicting streamflow in drier regions around the world, including in the Andes mountains in South America or the Himalayas in Asia. The study was published in Water Resources Research, a journal from the American Geophysical Union. 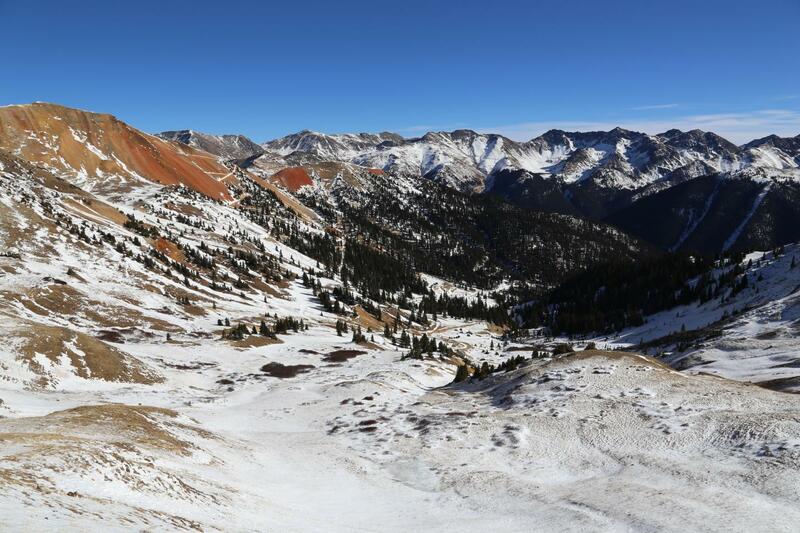 John Hammond, a doctoral student in the Department of Geosciences at CSU and lead author of the study, said the research is the first of its kind to explicitly link snow persistence and water resources using hard data. Similar research has only been conducted using computer-generated models. The research team examined how snow and changes in climate relate to streamflow measurements for small watersheds across the western United States, using data from MODIS, a satellite sensor, and from stream gauging stations operated by the U.S. Geological Survey. They studied mountainous regions with varying climates in the western United States, Cascades of the northwest, the Sierras and the northern and southern Rockies. Stephanie Kampf, associate professor in the Department of Ecosystem Science and Sustainability and study co-author, said the snow persistence data is particularly useful in dry mountain regions. "If we look at how increases in snow relate to annual streamflow, we see basically no pattern in wet watersheds," she said. "But we see a really strong increase in streamflow with increasing snow persistence in dry areas, like Colorado." CSU researchers also explored snow persistence in middle to lower elevations, which are often ignored in snow research, said Hammond. "Half of the streamflow for the Upper Colorado River Basin came from a persistent snowpack above 10,000 feet," he said. "The snow-packed areas above 10,000 feet are really small and are also very isolated across the West. The middle to lower elevations don't accumulate as much snow, but they cover much more area." Streamflow in the Upper Colorado River Basin showed a reliance on snow persistence in these lower elevation areas, according to the study. Researchers said that this highlights the need to broaden research beyond the snow at high elevations, to not miss important changes in lower-elevation snowpack that also affect streamflow.